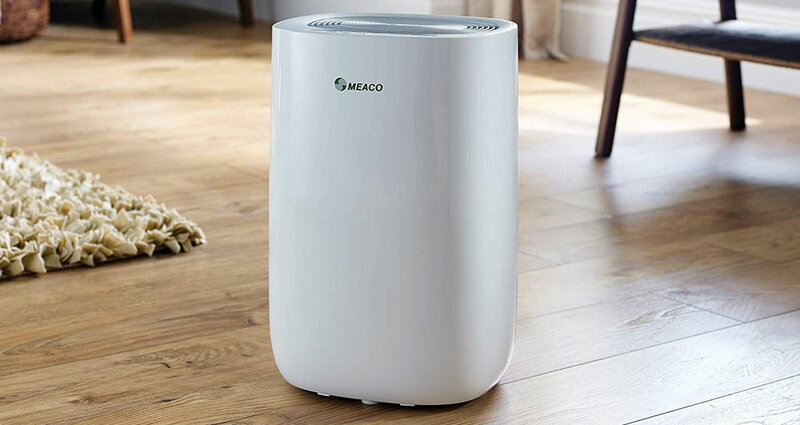 The Meaco MeacoAir ABC 12L dehumidifier is an excellent dehumidifier for small homes and flats. It's one of the quietest on the market and rapidly removes water at room temperature. The ABC is also relatively compact, energy efficient and has a modern appearance. Another great model from Meaco! The Meaco MeacoDry ABC 12L is a refrigerant (compressor) dehumidifier from one of the UK’s biggest dehumidifier brands. It’s designed to extract water and reduce humidity in the average 2 bedroom home or flat, with a maximum extraction capacity of 12 litres per day. While the MeacoDry ABC doesn’t include many advanced features, such as Smart functionality or a HEPA filter, it has everything you would expect from a Meaco refrigerant model at a mid-range price. 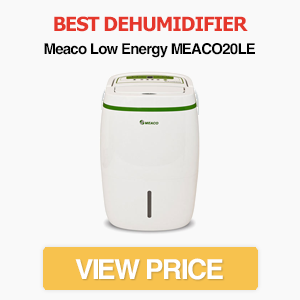 Meaco also claims it’s their quietest dehumidifier yet. How does the ABC compare to other models in this price range though? And is it really that quiet? Keep reading our MeacoDry ABC review to find out. Note: This review is of the 12L version of the MeacoDry ABC. There’s also a smaller 10L version that’s cheaper, but with a lower extraction rate. Aside from the size and extraction rate, both models have similar features. 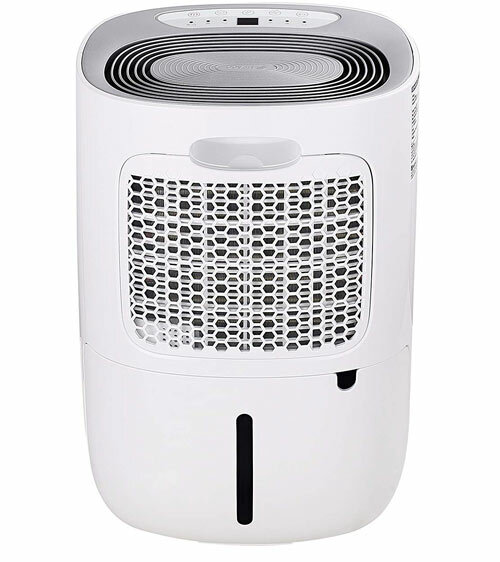 With its sleek grill and white exterior, we think the MeacoDry is one of the most attractive dehumidifiers on the market. It’s certainly more modern than the Low Energy range, which is starting to show its age, and won’t look out of place in a contemporary home. It’s great that dehumidifier designs are finally moving into the 21st century! Something you’ll notice when comparing the ABC to other Meaco models is that it doesn’t have an adjustable louvre. Air is pumped out via the grill, so you have less control over where it goes. Fortunately, the MeacoDry still provides ample airflow for reducing humidity and drying laundry. Like most Meaco dehumidifiers, the ABC is designed to be straightforward to use. The digital control panel has lights to indicate which features are currently selected, along with a display showing the room’s relative humidity. If you’re in a hurry to get started, just hitting the “ON” button automatically starts the machine, although we recommend taking the time to understand the various features before you use it. The MeacoDry ABC 12L has dimensions of 30cm (W) x 46.3cm (H) x 25cm (D). This makes it one of the smallest refrigerant models, with only the Meaco 10L Small Home and EcoAir DC202 being thinner. Both of those models have a lower maximum extraction rate, however, so Meaco has done a great job of keeping the ABC slim and compact. One thing to note about this machine is that it doesn’t come with a HEPA filter or air purification mode. 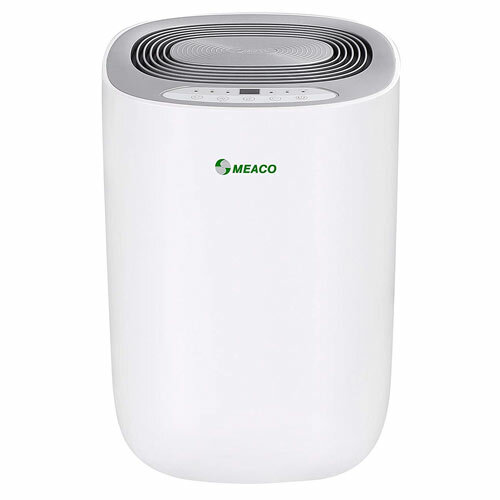 A standard dust filter is included, but it doesn’t provide the filtration of models like the Meaco 12L Low Energy. This isn’t a complaint – air purification is a bonus on a dehumidifier, not an essential feature – but could be important if you suffer from allergies. A bigger drawback is that it’s heavier than you would expect considering the size. At 11.2kg, it’s marginally heavier than the EcoAir DC12, for example, which has the same extraction capacity. You expect refrigerant models to be heavy though – and it’s far from the heaviest we’ve reviewed (the Electriq CD25PRO-LE weighs a whopping 15.5kg). A nice extra is that it’s available in a variety of colours. These include black, blue, white, green and silver. The ABC has a 2.6 litre water tank. This is around average for a 12L dehumidifier, as any larger would ruin the compact design. Be prepared to empty it fairly often though, especially when first reducing the humidity in your home. There’s also a continuous drainage option that bypasses the tank, allowing you to release the water directly into a drain or sink. You’ll need to buy a separate hose for this though. A complaint we have is the water tank isn’t as convenient to empty as other models. On the plus side, the water tank has a plastic cover to prevent spillages. The lack of castor wheels and 11.2kg weight means it’s not the most portable dehumidifier on the market. There is a recessed handle, but portability is one area the MeacoDry ABC lags behind other machines. If you’re looking for a portable model, it’s worth looking at desiccant dehumidifiers – particularly if you need a machine that work efficiently in colder temperatures. Desiccant models are often around 7kg. The Meaco MeacoDry ABC Range dehumidifier does an excellent job at extracting water at room temperature. You’re unlikely to ever achieve the 12L maximum extraction, as this requires a temperature of 30 degrees Celsius and 80% relative humidity, but the machine is brilliant in the typical UK home environment. As with all refrigerant dehumidifiers, there is a sharp drop-off in efficiency as the temperature falls though. At 10 degrees Celsius and a relative humidity of 60%, for example, the ABC can only remove 1.73 litres per day. Admittedly this is a lot better than nothing – and the power usage also drops so it costs less to run – but it’s probably not the best option for a garage, conservatory or anywhere without heating. At 15 degrees Celsius and above, however, it’s a great choice. There are also two fan speeds. The low speed is perfect if you want to maintain a certain humidity level with minimal noise (more on the ABC’s quiet operation in a moment), while the high speed reduces humidity faster. As with all refrigerant dehumidifiers, there’s an automatic defrost function to keep the machine running – albeit much less efficiently – at colder temperatures. There’s also an automatic switch-off function if the water tank is full. The Meaco ABC is designed for smaller properties. 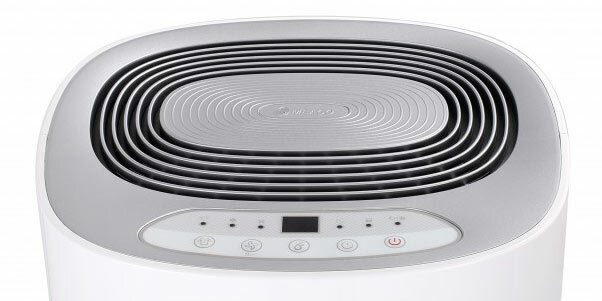 It’s great for reducing humidity in 2-3 bedroom houses or flats, for example. The 12L maximum extraction capacity means it’s not suitable for large homes though. For that, you’ll need a model like the Meaco Low Energy 20L (read our full review here). One of the best features of the MeacoDry ABC is that it’s amongst the quietest refrigerant dehumidifiers. The maximum noise output is 40dB, but this drops to 35dB on the low speed setting. In fact, we struggle to find any dehumidifier that’s quieter than the ABC. For comparison, the excellent Meaco DD8L Zambezi, which is a desiccant model, has a maximum noise output of 50dB. The closest refrigerant model is the Electriq CD20LE which has a maximum noise output of 42dB. If noise is something you’re worried about when buying a dehumidifier, the ABC is an excellent option. Tip: To give some perspective on this noise level, a whisper is approximately 30dB, while a small stream or average computer fan is 40dB. Vacuum cleaners are typically 70-80dB. Meaco has labelled this model as “Energy Efficient” – but what does this really mean? The maximum power usage is 222W in warm and humid conditions. In a more realistic home environment, with a temperature of 20 degrees Celsius and relative humidity of 60%, this drops to just 162W. 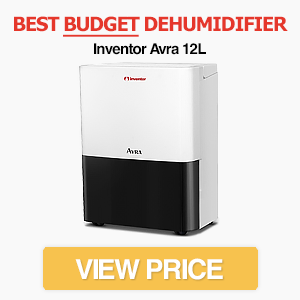 This is on par with other Meaco Low Energy dehumidifiers, such as the 12L model we’ve previously reviewed. How much it costs to run depends on your electricity tariff. But assuming an average energy tariff of 15.41p/kWh (this was the average in 2017), the cost would be approximately 2.5p per hour at 162W. Not bad! The Meaco also allows you to set a target humidity via the control panel. When reached, the machine switches off automatically to save energy. If the humidity rises, it switches back on. The Meaco ABC has a simple control panel. There’s a digital display showing the current relative humidity, along with several buttons to adjust various other settings. The display is also where you can adjust the target humidity (steps of 5%) between 30-80%. There are six indicator lights. These are for laundry mode, fan speed, timer function, power and emptying indication. The five buttons below the lights allow you to cycle through the various settings. This cycling through settings might seem outdated, but it’s a functional system and a more complex control panel wouldn’t add much to the machine (other than price). As you would expect from a mid-range dehumidifier, the ABC comes with features such as a child lock and laundry mode. The latter function runs the dehumidifier at maximum speed for 6 hours to quickly dry clothes without increasing the humidity in your home. There’s also an automatic off timer (1-24 hours), so you have more control over when the machine stops running. You can also put the dehumidifier into continuous operation mode. This overrides the automatic switch-off function and keeps the dehumidifier working until you turn it off manually. While most people won’t use this setting, it can be useful for very damp rooms. The Meaco MeacoDry ABC isn’t a cheap machine, but it’s not overpriced either. It has a similar RRP to the Meaco 12L Low Energy, so the right option depends on which you prefer. If you’re looking for a quiet machine or a more attractive design, the ABC is the better option. It’s also slightly faster at extracting water than the 12L Low Energy. Note: Meaco offers a two-year warranty for parts and labour. You can choose to extend this to five years for extra peace of mind. The MeacoDry ABC Range dehumidifier is another excellent model from Meaco. 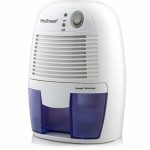 It’s one of the quietest dehumidifiers we’ve reviewed – even on high fan mode – and is great at extracting water at room temperature. 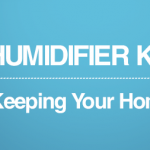 If you need a quiet dehumidifier for a small home or flat, it’s an excellent choice. It’s not perfect though. Like all refrigerant models, it struggles at low temperatures (look at desiccant dehumidifiers instead). The rear-facing water tank can also be inconvenient to remove. These are minor complaints though. The ABC does exactly what it’s designed to do: quickly reduce humidity in the average UK home with minimal noise output and energy consumption.